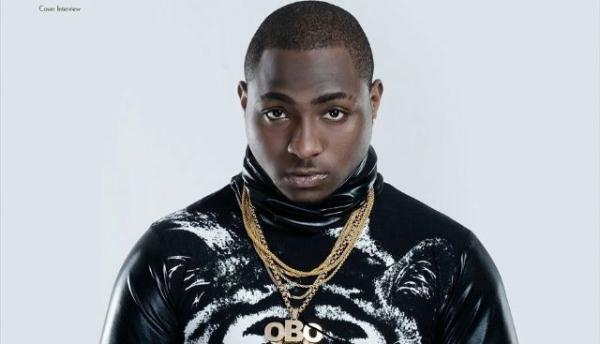 One of Nigeria’s Afrobeats popular artist Davido was in the country over the weekend for a live concert at the Carnivore grounds, an even that was organised by Ranee productions. Live with every other concert in Kenya, The hype been very well done mainly on social media and all Kenyan fans of Afrobeat, a sound that has taken over every public event (be it a wedding, funeral, live concert, corporate function, name it) . I have written on this subject quite extensively in my previous 2 articles that focused on ; why we we can’t seem to get it right with Live concerts and why South African and West African music has taken over in Kenya. This post will look at some of the experiences those who went for the Davido concert shared as well as the general discussions among musicians, music lovers and event organisers regarding the atrocious events that took place during and after this concert. As I am sure you have already gathered by now, the much anticipated concert by Davido did not go well at all. From what I gather, Davido was on stage for only 30 minutes. Perharps this tweet image by one of the revelers sums up all that took place at the concert and the ratchetness that was hte VVIP tent. The complaint were so many that 3 days after the concert, ‘Davido’ was still among the trending topics in Kenya. Davido’s Kenyan Concert was happening at a very controversial time. Nigerians were holding their elections and many Nigerians did not take it kindly that Davido chose to perform in Kenya instead of showing his solidarity with other Nigerians and voting. Isn't Davido Nigerian? What the heck is he doing in KE then? His vote is needed in Nigeria. Or am I missing something? Bringing such an egoistic artist of Davido’s calibre is always a huge gamble for concert organisers. They have no control over what the artist decides to do once he gets on stage or what state he will be in. However, such things as length and duration of the artist’s time on stage as well as quality is a clause that should be in contract the organiser signs with the artist. With Ranee productions being new to this game (they have so far only brought in Stand up comedian Russel Peters), they should have consulted widely on;- which artists have primadona issues, what clauses to insist on in the contract with the artist etc. The dismal performance brought about an interesting discussion on why accomplished musicians in their own right, Muthoni and Fena Gitu were curtain raising for Davido. The debate on why Kenyans favour music and live concerts from other musicians other their own also came up once again. I have to put corporates on blast too. Would you give a Kenyan artist the same support I saw Davido getting?? This comes at a time when barely 6 months ago, Wizkid also from Nigeria gave a similarly pathetic concert which was more a lip synched session than an actual performance. Live concerts are the bread and butter for artists nowadays due to the dwindling sales from album sales due to new technology. It is therefore upon the concert organiser to set the standards and ensure that fans get their money’s worth. Instead of roasting Davido, you need to properly punish the event organiser and sponsor. Davido doesn't give a damn about Kenyans. It is evident that Kenyans want to attend live concerts by the same artists they hear in the clubs at whatever cost. Thus the question is, can concert organisers provide quality experiences or do they need to work better with local artists and grow their own. Our neighbors Tanzania and Uganda have been able to pull it off, artists like Diamond in Tanzania and Chameleon in Uganda pull more crowds than foreign artists. As this debate continues, Yemi Alade will be in Kenya over the Easter period for a concert down at the concert.